Planmeca’s dental care units, imaging devices and software solutions are all designed and manufactured at Planmeca headquarters in Helsinki, Finland. Using the latest technology and best materials, our products are hand-made and tailored to every customer’s individual specifications. This includes choosing the perfect colour for the device. To some this might seem like a triviality, but colours do matter.When a new patient comes to your practice or clinic, they quickly form an impression of it. This first impression is naturally influenced by you and your staff, but also by the interior design of your practice. There have been a lot of studies regarding colours and their effect on people, but choosing the right ones for your practice is not that simple. Indeed, there are several things to take into account. Your practice brand is, essentially, you in a nutshell. It speaks of you and your staff as dental professionals as well as of your practice as a treatment environment. Consequently, your brand should reflect both the person you are and the care you offer. Once you have defined your brand, it should stay consistent throughout all communication with your patients. This includes indoor and outdoor signs, your website, marketing collaterals and the practice environment – and the use of colours throughout these. All of these are elements which convey critical impressions of your practice to both present and potential customers. Colours play a significant role in building a brand that people can rely on and stay loyal to. 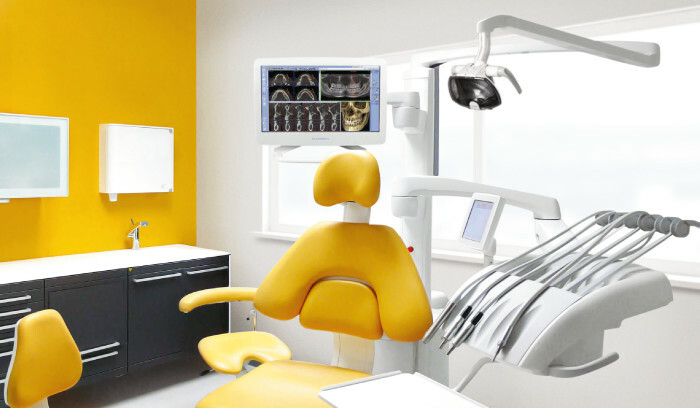 Maintaining a consistent look and feel throughout your practice from paper clip to dental unit upholstery conveys a sense of stability and security to your patients which few words can express. Colours evoke feelings. In a dental clinic, they can reinforce a patient’s positive experience of their visit as well as reduce anxiety ahead of treatment. The same colours can also determine the atmosphere of your clinic in a way which affects not only your patients, but your staff as well. If your brand is warm and inviting, sunny hues and earth tones can immediately relate this to your patients; if it is calm and clinical, light greys and deep blues can reflect this throughout your practice. 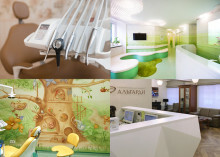 Child-friendly clinics can, in turn, draw on strong greens and other bright colours to call up images of cartoons, toys and nature. Doing a bit of research into colours and their history can help you better understand their meaning. As different colours affect people differently, colour psychology can also help you find the ones with the right feel for your practice. When choosing the colours for your practice, the patient’s response is naturally a key consideration. However, besides the patient there is also someone else who spends a lot of time in your office – you. As a dentist, you are likely to spend as much time in your practice as you do at home. This is why it is important that the aesthetics of your working environment are also right for you. When choosing a colour scheme for your office, think about which colours have a positive impact on you – and which don’t. Pleasant combinations that delight and reassure your patients can also work wonders on your own day. Decorating a dental office can be tricky, and you might want to use a professional interior decorator to help you with the job. But do not think for one moment that you know nothing about colours. We all have likes and dislikes, and you should stay true to your colour preferences. A professional decorator can help you find the right shades of your favourite colours that make you feel comfortable. And when you feel comfortable in your dental office, so do your patients. The colours of an environment never stand alone. They work in combination with other interior elements such as the fabrics, walls and furniture to create an atmosphere – one which can be e.g. fresh, welcoming, uplifting or luxurious. Think about which colours work best with the elements and desired atmosphere of your clinic, and avoid combinations which are too jarring or don’t fit in. Another important consideration in choosing colours is lighting. Light can significantly change how colours look and reveal differences in hues you did not expect. That’s why it may also be worth taking some time to try out different colour options in the lighting of your practice, including at different times of day, to see how they look in a real environment. Interior design decisions have a tendency to be permanent. Consequently, when choosing the right colours for your practice it is worth placing them in the bigger picture before making the final choice. An environment which is complete and harmonious can reflect positively on your entire practice in a way which can both attract new patients – and persuade them to stay. Planmeca aims to create functional, durable and beautifully designed products that stand the test of time. This we achieve by always keeping in mind four key design principles: workflow ergonomics, user safety, patient comfort and lasting aesthetics. Needless to say, our high quality dental units are no exception. 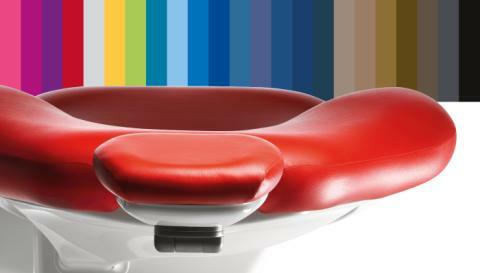 In addition to their versatile features and user safety, Planmeca dental units can also be customised to match the décor and colours of your practice – with the right colour upholstery. 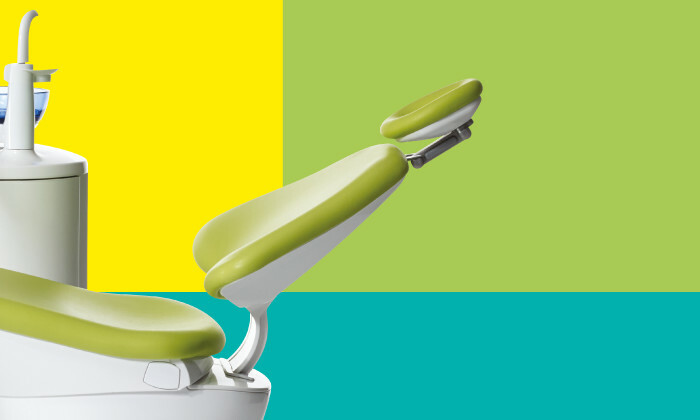 When choosing the upholstery for your dental unit, Planmeca offers two high quality upholstery options – Ultra Relax™ and Comfy™. Ultra Relax™ is made of viscoelastic memory foam which adapts perfectly to the patient’s body shape. The soft and supple material allows patients to remain relaxed throughout even the longest treatment sessions. Comfy™, meanwhile, has a thinner, streamlined shape which ensures excellent reach to the treatment area and makes infection control and cleaning a breeze. Both upholsteries are made of extremely durable artificial leather and come in a wide range of stylish colours – from soothing pastels to vibrant primaries and deep earth tones. 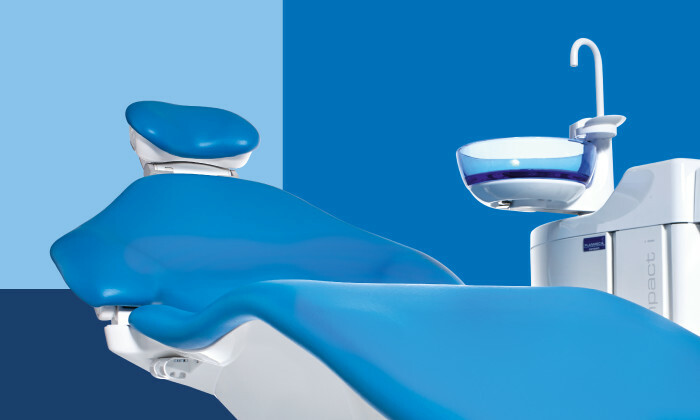 All Planmeca dental units can also be reupholstered whenever necessary, ensuring that your dental unit always maintains its patient comfort and matches the look and feel of your clinic. The high quality and uncompromising user safety of Planmeca dental units already make them an excellent companion to your work. With the right colour, however, they become the perfect complement to your entire practice. Please note: As different computer monitors and devices can display colours differently, the colours on monitors may differ from the actual colours.